Athlete, Olympic skier. Born on April 3, 1971, in Triumph, Idaho. 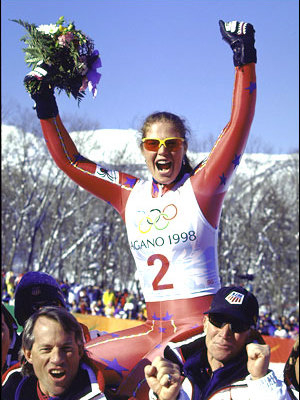 Once one of the leading downhill skiers in the world, Picabo Street won several Olympic medals and championships during her career. 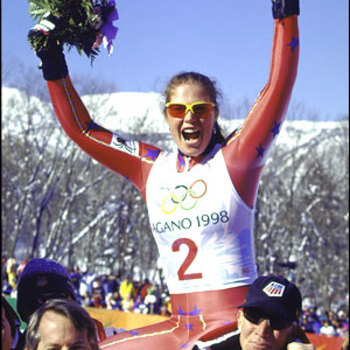 She was known as simply "Baby Girl" for the first few years of her life and later ended up with the name Picabo, which is pronounced "peek-a-boo." It was the name of nearby town, which comes from a Native American word that means "shining waters" or "silver creek."